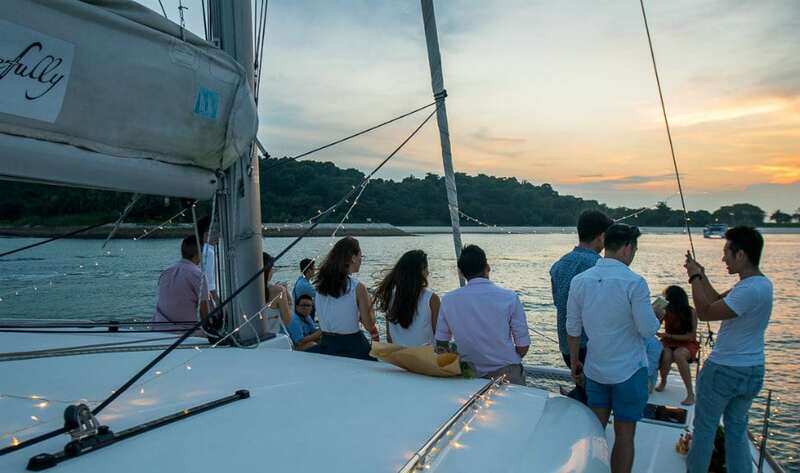 Boat parties have become incredibly popular in Singapore, thanks to constant sunshine and the sea on our doorstep – we are on an island after all! The best part? These aren’t difficult to organise at all. 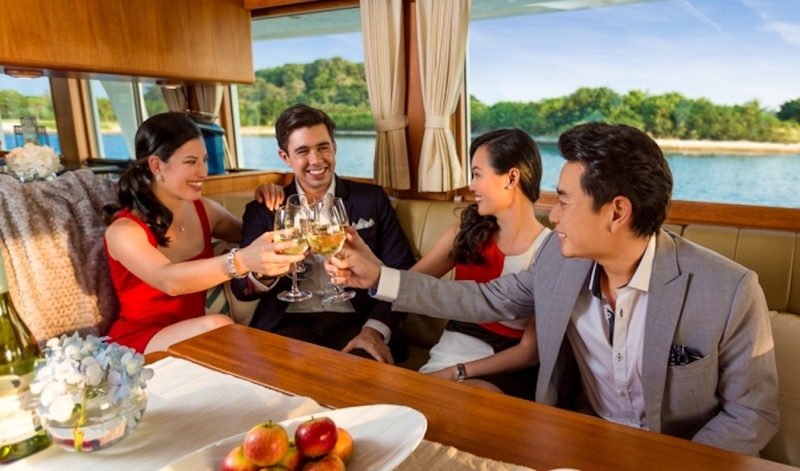 Hiring a boat in Singapore is just a case of chatting to a few companies, working out the overall size, deciding upon a route (from day trips to weekends away) and adding extras like food, booze and activities. Want to hop aboard a luxury playground on the water? Head to Keppel Island to set sail on a spectacular yacht. 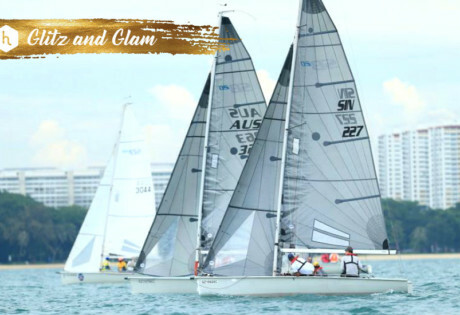 Whether it’s a party with friends, a family day-cation, a training sesh to hone your sailing skills, or a romantic date idea, Marina at Keppel Bay has everything you need. Prices start from $750. Use the promo code HCBAJ2019 to get a 10% discount for a four hours cruise (11 pax and above). Book now and sail by 30 June 2019! 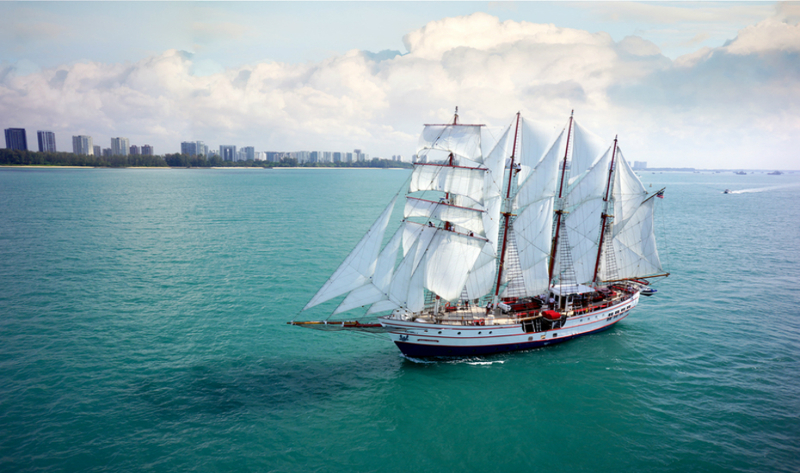 A chance to live the high life on the high seas? Sign us up! 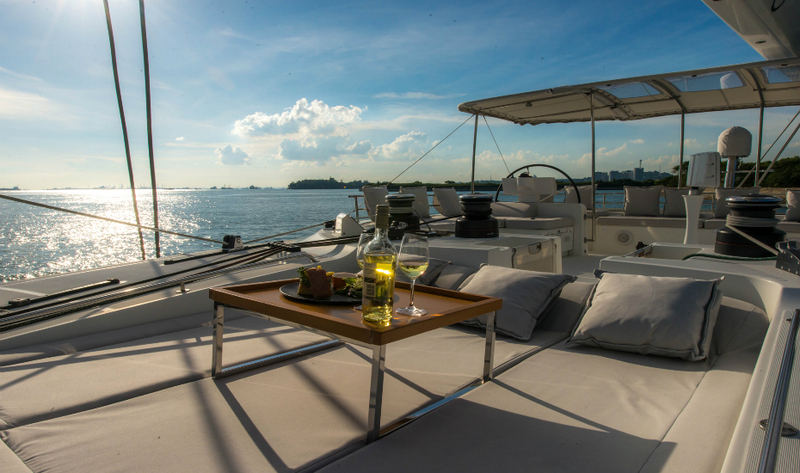 Marina at Keppel Bay offers a wide range of luxury yachts available for charter, such as designer-fitted flagship The Admiral, which fits up to 20 people. Soak in the deluxe interiors and expansive lounge spaces, while enjoying a ton of family-friendly entertainment options ranging from inflatable toys to fishing rods and kayaks. Psst… there’s even a barbecue grill on board! Here, you have an ample selection of high-end yachts to choose from for casual outings, fun day trips or full-on VIP events. Planning a mini vacay? They also charter trips around Singapore, plus longer holidays to Malaysia, Indonesia and Thailand. ONE15 Luxury Yachting, #01-01, Sentosa Cove, 11 Cove Drive. p. 6305 9676. 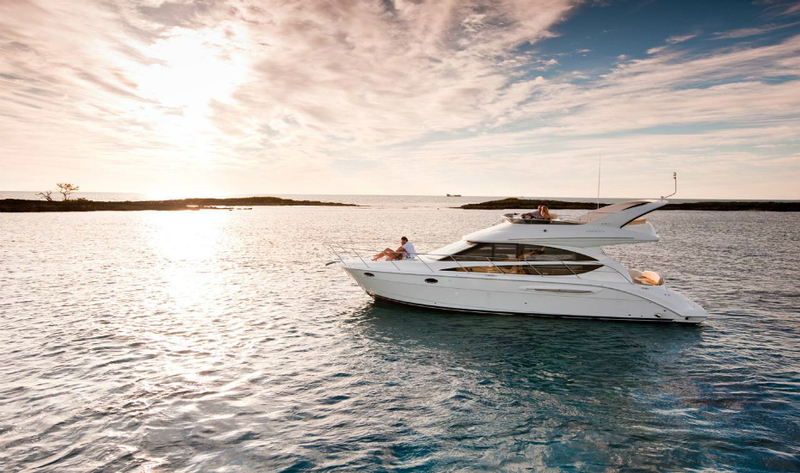 A popular yacht rental service, Marine Bookings boasts a huge range of shapes and sizes when it comes to boat rental. Likewise, you can choose your destination, whether it’s short trip around SG or a cruise to Thailand. A cruise around Singapore for 10 guests starts at $1000 per day, and you can add on fun activities like banana boats and donuts for the kids. Marine Bookings, #06-21, 6 Eu Tong Sen Street, p. 6808 6303. Lloyd Marine has a selection of boat sizes that range from eight to 200 people, all equipped for different occasions – whether it’s a holiday, party, wedding, or even a networking trip. It also has a private cruise service for island hoppers who crave a relaxing getaway; you can rent a private cruise to Indonesia, Malaysia and Thailand. Expect high-end prices for high-end services: Rates begin from $1000 for a two-hour cruise. Lloyd Marine, 46A Tras Street Singapore 078985,, p. 6438 7889. Think traditional bumboats with plenty of character, for up to 45 people. You can also take smaller ‘duffy’ boats for up to 10. These guys will take you up and down the Singapore River or around Singapore’s seas – they have pick-up and drop-off jetties all over the island. Prices for boat charter start at $535 for 30 minutes. River Cruise, #15-06 High Street Centre, 1 North Bridge Road, p. 6336 6111. For those who don’t mind spending top dollar, Blue Star is all about full-on luxury (think P Diddy videos). Expect stunning, high-end catamarans with heaps of space and experienced crew. You can rent the yacht for a dockside party (from $400 an hour). Or, you can book a five-day trip to Tioman (there are four en-suite bedrooms, and diving is possible off the boat). It can be a little pricey, so get a big group together – a weekday cruise party for up to 23 guests starts at $2,750. Blue Star Yachting, 52 W Coast Ferry Rd, p. 6513 0295. This company’s got a wide-ranging selection of different boats on offer, with a few huge, posh ones for corporate days out. There are optional extras, such as fishing rods and wind-surfing equipment, with lots of locations and destinations to pick from to boot. Yacht Charter Singapore, p. 6850 5059. 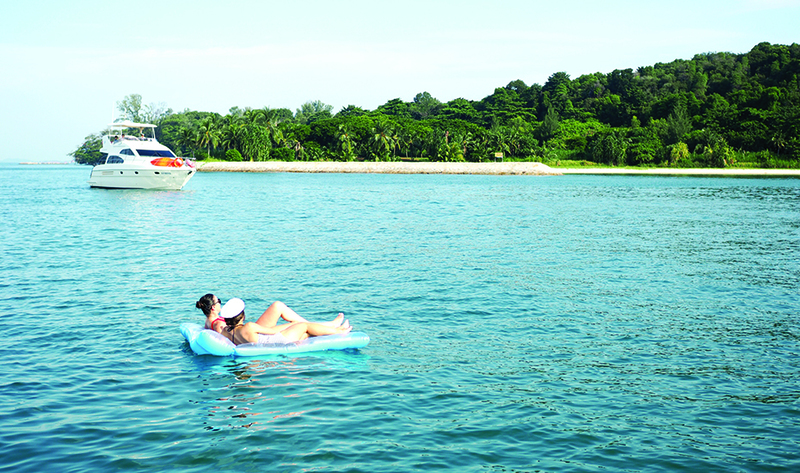 These chartered boats circle Singapore’s islands – including Kusu, Lazurus, the Sister Islands and more. You can hop off to explore the islands while the ferry waits, and wine and dine options are also available. The best part? Affordable prices! Singapore Island Cruise, #01-04 Marina South Pier. p. 6534 9339. For a sure-fire way to impress, book these guys for a birthday prezzie to remember. The Trip to Southern Islands gift package includes a stopover at Pulau Seringat, where you can proceed to explore Lazarus Island and St John Island. Barbeque on board can also be arranged – now who wouldn’t love that? 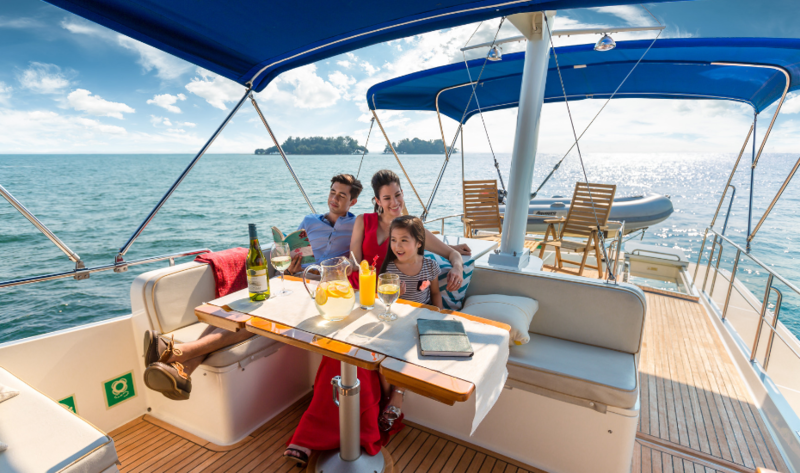 Pop the question to your special someone onboard the appropriately named PassionOne (40’ sedan cabin cruiser) that comes equipped with a karaoke system, snorkelling masks, board games and two large staterooms – available for couples or up to 18 guests. Neo Yacht, #05-03/04/05/06 Enterprise One, 1 Kaki Bukit Road 1, Singapore 415934. p. 9833 6198. If you’ve been dreaming about saying “I do” out on the open water right when the sun sets, hit up White Label Charters. With three different wedding packages available, and with everything from catering, decoration and photography covered, the only thing discerning couples are left to do is remember their wedding vows. White Label Charters, p. 9367 1900. Think you’ve seen everything our lil’ red dot has to offer? Think again. Albatross Cruises takes you off the beaten path with a bunch of unorthodox routes for a whole new perspective of our island city, as well as our neighbouring islands. Intrigued? A full-day cruise will take you to the white sandy beaches of the Southern Islands, before venturing to the little-known Hantu Island where you can have a picnic, and finish off by setting sail along the Singapore East Coast. Albatross Cruises, #01-01, 11 Cove Drive, Singapore 098497. p. 9101 4115. Getting tired of the boujee-luxe yacht life and craving a change of scenery instead? Stewords Riverboat is larger than your average riverboat and has a vintage, old-world charm (mostly thanks to its paddle steamer) that will whisk you back to a simpler time. Onboard, there are two F&B outlets to choose from – the Santa Fe Tex-Mex Grill, or head up to the deck for drinks at the Wood & Steel Gastrobar. 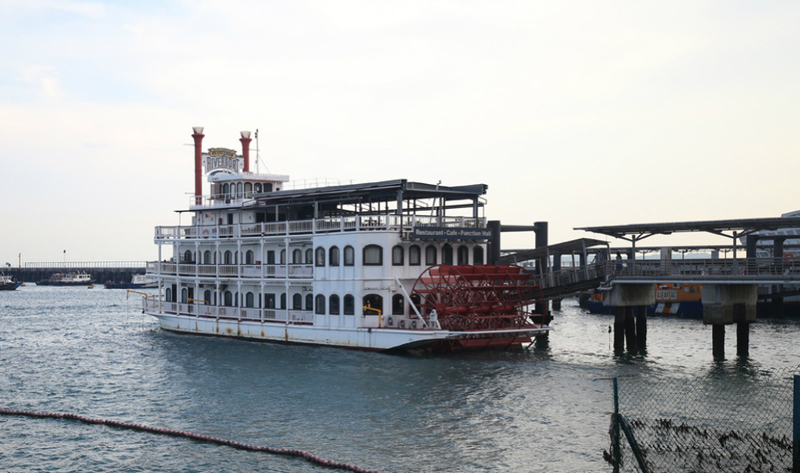 Stewords Riverboat, Berth 1 Marina South Pier, 31 Marina Coastal Drive, Singapore 018988. p. 6278 5775. 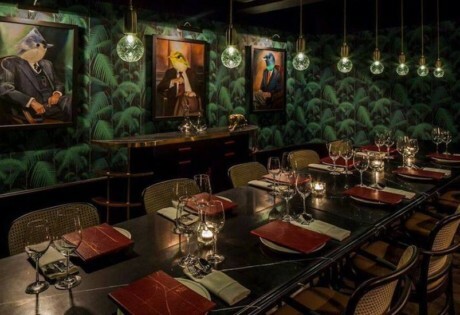 Stumped about your next birthday bash or company get-together? YMPL has a fleet of affordable – albeit picturesque – boats that’s great for a wide-range of gigs. We even had the honour of throwing a Honeycombers bonding sesh onboard the Charter Me (a 48’ power catamaran), and judging from the splashin’ good time we had, you won’t be disappointed! 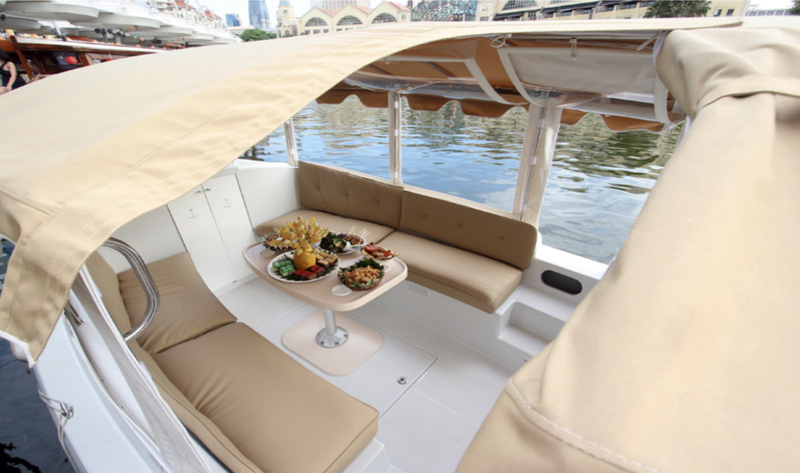 Yacht Management Pte Ltd, #01-01 One15 Marina Club, 11 Cove Drive, Sentosa Cove, Singapore 098497. p. 6681 6775. Launched by three Singaporeans looking for an easier and more affordable way to charter a vessel, Yachtly lets you have your “I’m on a boat moment” without a fuss. It’s almost as easy as booking a hotel room – select the occasion, pick a date, number of guests and choose from a fleet of vessels. Some of them even come stocked with water sports gear like stand-up paddle boarding and kayaking as well as karaoke machines and beds for overnight stays. Always fantasised about the Kardashians and their glamorous beach getaways? Now you can have a taste of luxury with Aqua Voyage’s travel packages. Their Tioman Retreat promises a 3-day-2-night trip to paradise, as you surround yourself with crystal blue waters and incredible views. Kick back and relax in your very own chartered yacht with butlers on hand attending to your every need. Singapore public holidays 2019: How to make use of the long weekends! Read more from Shahf S.